You guys, it happened.... my blog got boring! I actually finished this dress before we moved into our house at the beginning of the year. I wore it on my birthday for Me Made May and then I never actually got around to blogging about the pretty little thing that it is. So, here it is! 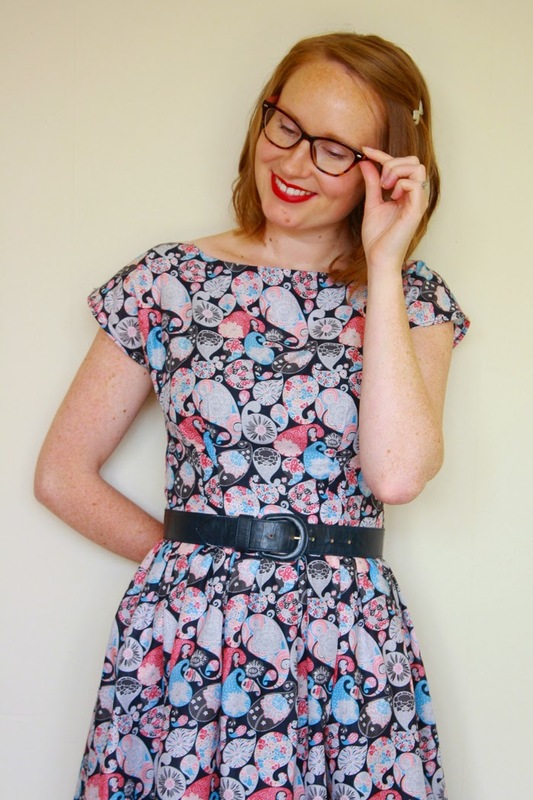 I've called it the Anemery dress for fairly obvious reasons - it's the Anna Bodice and the Emery skirt. Now, is it just me or does Anemery remind you of that scene in Finding Nemo where they can't pronounce anemone? Every time I say Anemery I feel like I should be saying anemone. Monemone? Namenome? The fabric is a beautiful Japanese lawn, that I should have underlined at the bodice, but didn't (I hope it holds up!) that is covered in a lovely paisley print - which, might I add, look like microscopic sea creatures...totally not planned. 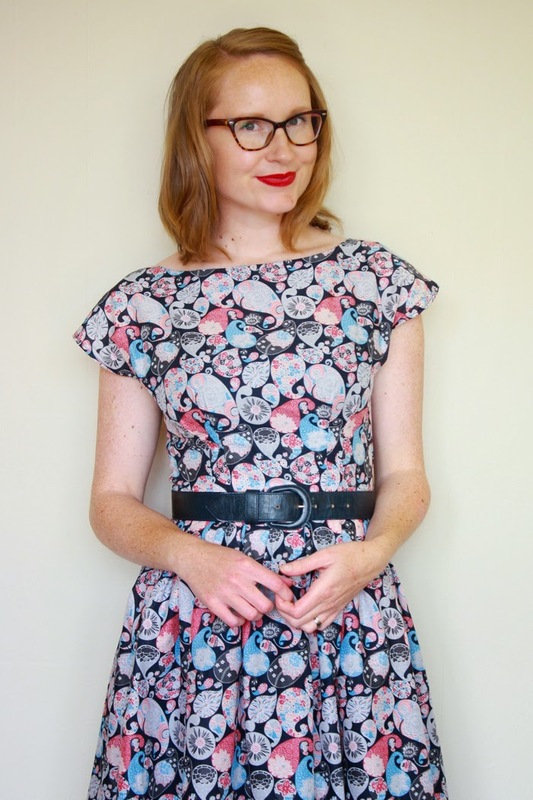 A quick and easy dress to stitch up, just like my other Anna and Emery. 20 comments on "The Anemery Dress"
So much fun! Cute dress! Hurrah for blogging for fun again. Not that I minded your pattern posts but I always thought "Man she's working a lot." Omg I totally read anenome when I first saw this in my feed. Beautiful fabric! As always you look fantastic. Wow, I really like this version, and the print makes it shine! I'm totally in love with this dress! I still haven't been able to get the anna bodice to fit like I want it to, but this is some serious inspiration! I love the Anna bodice and for me it fit pretty much perfectly straight out of the box. It's such a lovely bodice so I hope you're able to work out your fitting issues! I live this, the fabric is perfect for it. I live the name! I've not made an Anemery (please it's so much easier to call it anemone!) but I did made a Gabrianna in June which was the Anna bodice and the Gabriola skirt from Sewaholic. Another match made in heaven! It's very pretty, I only have the Anna so can't do an Anemery, but suspect I could fudge something similar; just as soon as I get some time to myself! Totally easy to fudge, just some rectangles of fabric and an inseam pocket pattern (or just make one up!) and you're good to go :) I was just being lazy! I love this on you! Perfect pattern mash-up! Lovely, looks amazing on you. Boring? Never, love reading about your new patterns, always inspiring :-) This is a really cute mash-up. Lovely (and totally appropriate) fabric too, great make! 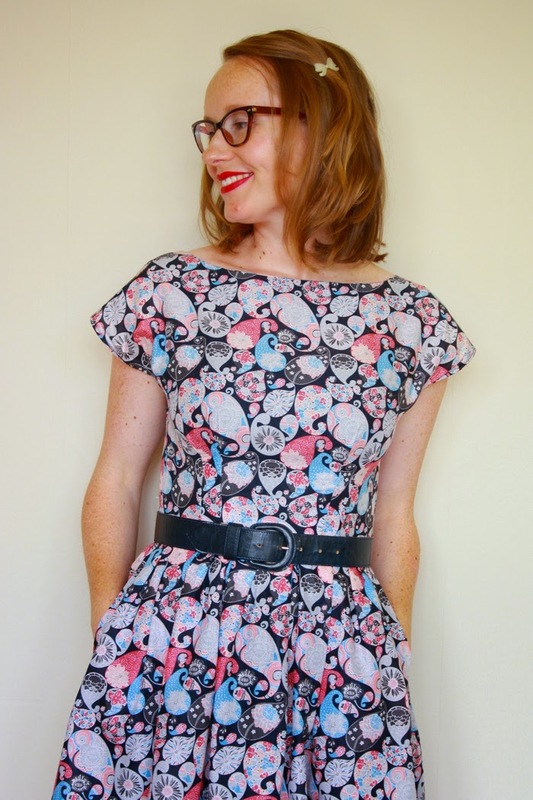 I made a dress very similar mashing the Anna with a dirndl skirt - it's a great combination and yours is lovely. Merry Xmas! The Enid Sweater - New Pattern Release!